Clean & Green Auto Care is an alternative mobile car wash service that comes to you promoting a healthy living environment. When you book us out for out service, we'll come to you with the finest in eco-friendly, non-toxic, biodegradable products. We are passionate and dedicated to helping our environment. When we come to you; water is never wasted, as we do our part in sustaining our vital natural resource one car at a time. Our premium-grade solutions are chemical-free; comprised of polymers formulated from a variety of natural resources such as palm, coconut, corn and soybean designed to protect your car by lifting and encapsulating surface dirt and grime, which are wiped away using plush microfiber towels. We provide complete hand car-washing with non-stick UV protection while pampering your paint job with human touch. Repeat users find their cars lasting cleaner, longer. Clean & Green Auto Care uses an inverter for a clean, portable power source. Our services are an overall efficient, and eco-friendly alternative. 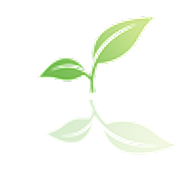 Clean & Green Auto Care is passionate and dedicated to helping our environment. We are doing our part by minimizing our carbon footprint one car at a time. Let Clean & Green Auto Care wash, protect, and make your vehicle shine while helping the environment at the same time. With a variety of earth-friendly packages to choose from, we’re sure you’ll be satisfied with the results. With over 20 years of experience in conventional car washing and our savvy waterless washing technique combined; expect nothing less than our top-notch service to meet each of our customers’ satisfaction. Clean & Green Auto Care is dedicated to working with you as a team in the care of your vehicle for as long as you own it. We are locally owned and operated; licensed and insured in the San Luis Obispo County of California. Call us directly, or book an appointment online today, and together we'll conserve water while beautifying your vehicle. Clean & Green Auto Care will pamper and protect your car! A mobile car wash is a service that comes to you. Whether it be at work or at home, eating out or shopping, working out at the gym, or doing absolutely nothing; your time is valuable. When Clean & Green Auto Care comes to you, any parking space can be a car wash. Our mobile car wash service is the perfect value-add for office and work complexes, commercial and residential parking garages, parking lots and property management firms, multi-use real estate developments and shopping malls, condominiums and apartment complexes, country clubs and golf organizations, universities and schools, communities and religious institutions, charitable and miscellaneous events. A waterless car wash sysytem is an alternative method to conventional car washing by way of using a high lubricity solution formulated to saturate the surface with polymers and surfactants designed to lift and encapsulate dirt and debris. The concept of a waterless car wash is to use solutions designed to achieve sparkling-end-results without wasting our water. Clean & Green Auto Care's dirt-lifting technique, using plush microfiber towels to lift & glide the dirt away, buffs out the polymers while drying the surface to a wax-like finish -- all done with human-touch! An eco-friendly service aims to preserve the ecosystem by minimizing it's carbon footprint. Clean & Green Auto Care's cleaning concept is to promote helping the environment one car at a time. We only use chemical-free exterior & interior cleaners, conditioners, and protectants that are earth-friendly, non-toxic, and biodegradable; which means they're safe for the driver, passengers, and the environment. We use an inverter for power source, which is quiet and clean; releasing no Carbon Monoxide (CO) contamination into the environment. Clean & Green Auto Care's waterless car washing prevents hazardous chemicals from entering the ecosystem and wreaking on the environment. With Clean & Green Auto Care, water waste is eliminated. There is no mess or toxic run-off. Italian-pioneered dry steam technology (vapor) cleaning is globally known to be, by far; the most effective eco-friendly method of deep-cleaning & germ-killing sanitization. Vapor will strip of impurities as well as conditioners, thus exposing the surface to it's original state. Clean & Green Auto Care provides dry steam (vapor) cleaning; as an alternative method of combat against grime and bacteria in their service of customizable vehicle detail cleaning, conditioning and protecting. Clean & Green Auto Care pairs dry steam with chemical-free, eco-friendly solutions for the most optimal in vapor cleaning -- available exclusively in their detail services. With vapor; Clean & Green Auto Care will leave your leather soft & supple. Your carpet and fabric are also left sanitized & freshened. 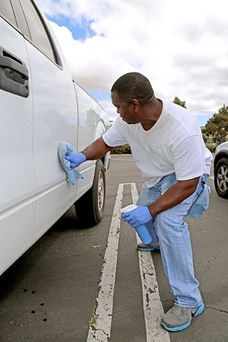 Clean & Green Auto Care can get into areas that others can only wish to -- between seats, tight crevices in consoles, dashboards, cup holders, air vents, door pockets, door jambs, and more; leaving your detailed vehicle sanitized, refreshed & truly "Green-Cleaned".